7. No risk of mercury emission, no IR & UV radiation. 2.PC housing is adopting imported PC which past UL certification. Its transmittance can reach to 95%. 3.PCB is adopting aluminum substrate which tightly connected with aluminum housing by insulated glue and greatly get rid of the , and also avoid the light decay because of the bad heat dissipation. 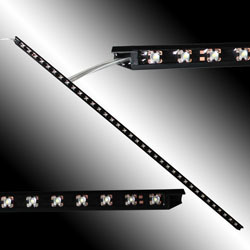 4.LED tube is 70%~80% Energy-saving over Fluorescent tubes, Power factor is over 90%. 12-25 days for mass production.